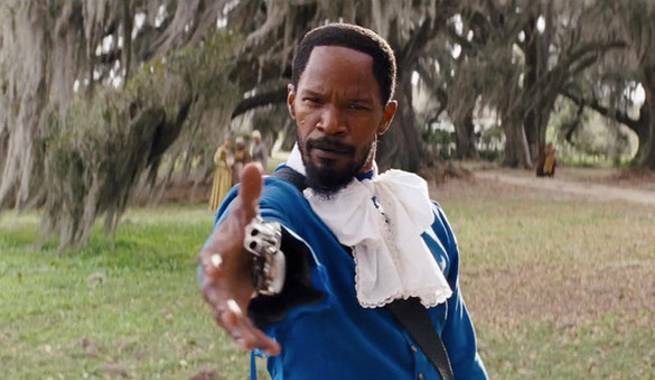 Jamie Foxx has been cast as Little John in Robin Hood: Origins, Deadline reports. He’ll play opposite Taron Egerton (Kingsman: The Secret Service), who was cast in the title role. Eve Hewson is also on board in the role of Maid Marian. Production is set to begin in the second half of 2016, after Egerton wraps on the Kingsman sequel. The “gritty” Robin Hood reboot is being directed by Otto Bathurst, best known for Peaky Blinders, and is written by Joby Harold, who also wrote Guy Ritche’s upcoming King Arthur reboot, Knights of the Roundtable: King Arthur. The film is being produced by Lionsgate.